How many pet parents read pet food ingredients? You may want to take a closer look at the pet food label next before you making your purchase decision. We take for granted that the ingredients in pet food are safe, but considering all the recalls concerning pet food, we should know better. There is actually a long list of things to avoid, but here are the top six. 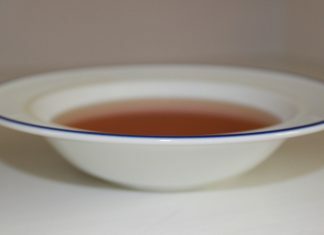 Ethoxyquin is used in pet food as a preservative; however, it was originally created as a stabilizer for rubber, and later used as a pesticide for fruit. This preservative is indicated in the development of several types of cancers in pets, among other things. Propylene Glycol is an ingredient found in anti-freeze (which is poisonous for pets) and is used in pet food to control moisture content and retard bacteria growth. A side effect for pets is that propylene glycol may also inhibit the growth of “good” bacteria in the intestines and moisture, both of which are needed to aid digestion. This increases the risk for cancer and intestinal blockage. This is toxic in large quantities, and the health risks for an animal consuming food containing this additive for long periods of time is unknown. Corn syrup is a sweetener. It is completely unnecessary and it is simply used to make the food taste better. However, the risks of consuming added sugar over a long period of time are huge. This can lead to obesity, diabetes, tooth decay, arthritis, allergies, and hyperactivity. In addition, corn is subject to mold growth, which is one more hazard to your pet’s health. Both BHT (butylated hydroxytoluene) and BHA (butylated hydroxyanisole) are preservatives are are suspected to be linked to cancer in dogs. BHT can also be found in products like cosmetics, petroleum products and embalming fluid per Dog Food Advisor. BHA is approved by the Food and Drug Administration but the National Institutes of Health found that it is “reasonably anticipated to be a carcinogen”, according to Live Science. Byproducts are what is left over after the animal, like chickens, has been stripped of parts for human consumption, such as the breast and other white meat. What remains goes into pet food as a “byproduct” and can contain beaks, feet, spleen, stomachs, brains and other products not intended for humans. There are many, many ingredients in pet food, especially poor quality pet food that we would never knowingly feed our pets. The bottom line is, in order to protect our pets, and ensure they receive the proper nutrition, we have to become, not only label readers, but informed consumers. The best protection is education. Know what your pet should be getting in his diet, and where he should be getting it from. Making your own pet food is a wonderful choice, but some have neither the time, nor the inclination to cook pet food, which is fine because there are many, high quality pet foods on the market, created by companies that care about the health of your pet just as you do. Put in some time studying what should go into pet food, what should not, and which brand of pet food you can trust the health of your pet to. It will be time well spent.